Check out these videos to learn about InternetMartialArts.com, an innovative e-learning program for learning martial arts online. New Beginnings are always refreshing! Think back to your first day of class, a new job, or maybe a move to an unfamiliar location. Starting something new seems daunting at first, but is always exciting. Speaking of new beginnings…. the new year is just around the corner! This is the time when people typically get excited about new beginnings! Unfortunately, many people will begin with ambitious resolutions to eventually abandon them. Planning is key to success. You cannot achieve your martial arts goals without out knowing what you are striving for. Take time to write down specifically what you would like to achieve in 2015. Would you like to be in a tournament, or maybe acquire more belts? 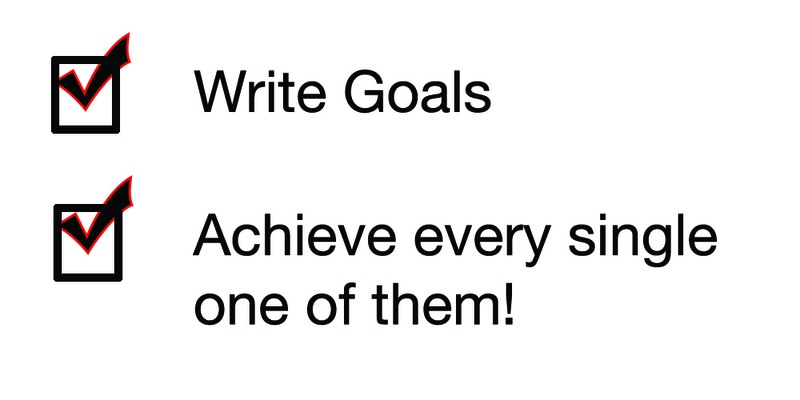 Write down your goals and be specific. Also write down a timeline of the events that will take place to achieve those goals. Keep your written goals in places you will not forget. Get creative and use post-it notes if you have to 🙂 You can put your written goals in your car (Be safe), your wallet, how about your smart phone or computer desktop? The idea is to always keep those goals fresh in your mind and to never lose sight of them. You cannot achieve your potential without a partner! The greatest martial artists always had someone to help them. Look to a mentor, a sensei, or a friend. An objective perspective aside from yourself is needed to progress. Sometimes the greatest learns come from helping others. Find a friend or a sibling that you can teach what you learn. Sometimes the greatest way to learn is to teach. What do you wish to achieve this New Year? We would love to hear your thoughts! Try something new this year and learn martial arts on your own time and place at InternetMartialArts.com. The platform allows you to write your goals within your online portal, keep track of your progress, and also work with a mentor. Martial Arts is the perfect partnership between mind and body for physical wellness and stress reduction. Break a Sweat Breaking a sweat increases endorphin production, which makes us feel good. Ever go to the gym feeling exhausted and suddenly get a jolt of energy mid-way through the workout, sometime even making it difficult to sleep in the evening long after your workout? Getting started is the hardest part, but anyone who exercises can align with the feeling of accomplishment after finishing a successful workout. Instill Confidence As you hit milestones and see yourself improve, you begin to see what manifests from your efforts. Think about a time you received positive feedback for accomplishing something great. Practicing Martial Arts provides immediate positive feedback. Execute a combo, score a point in a sparring match, and you will gain confidence with mini successes. Always think of how you can be better. Engage your Mind Remarkable Martial Artists are quick, but know to slow things down when necessary. Martial Arts will teach you patience. Patience will help you to keep your composure in times of stress. Learning a variety of Forms and Combos will take time and require you to think things through. Correctly positioning your stances, strikes, punches, and knowing when to do what will help you to focus better and overcome stress. Think through each stride and strike, focusing on the execution rather than speed at first. Reduce stress by taking sometime throughout your busy day to learn martial arts online at www.InternetMartialArts.com. 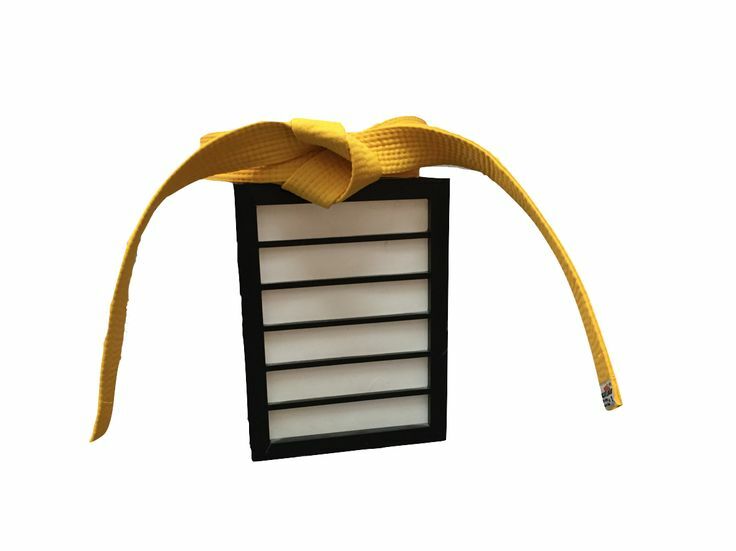 The Yellow Belt Program provides all you need to get your first belt with access to countless instructional videos and resources. Who Should Learn Martial Arts Online? Homeschooling can be remarkable for students, but stressful for parents. Because the child’s education relies on what the parent puts in, parents have an important responsibility . Online Martial Arts allows parents to not have to focus on the content for Physical Education. Instead, parents can focus on facilitating the learning experience, rather than stressing over what material to cover. In addition to promoting physical wellness, Martial Arts soothes your mind. Try beginning and ending your exercise with some quiet time. Take a moment to close your eyes in silence and take deep breathes for clarity and focus. Progression is a part of Martial Arts. As you begin to execute forms and combos and eventually move up in belt rankings, you begin to see the positive that your efforts lead to. You are always exercising your mind by memorizing and correctly executing the different forms and combos. Confidence is built, successful executions become second nature, and stress is reduced. Working out in a gym can be intimidating. All the different machines and weights make it challenging to determine what work outs to do. The path to wellness is so much better when you know exactly what needs to be done to achieve wellness. An effective online martial arts course provides structure and everything you need to get a good workout for the mind and body. You can also learn from anywhere and avoid the gym crowding. Many parents grasp the importance of extracurricular activity. Soccer moms everywhere cheer their all-star children on through practices and games while sacrificing time to drive them to and from games and practices. How much more impactful would it be to exercise alongside your children? Children have fun becoming their martial arts heroes, while parents lead from the front by showcasing to their children what family time looks like. Come check out The Yellow belt Program at InternetMartialArts.com to get countless Martial Arts videos and access to a Sensei for support and feedback. Three Reasons Why Online Martial Arts Works. What other things could you do with the extra 20 minutes to an hour it takes to get to the dojo daily? What about all the time you would save in a year? Multiply 20 minutes by a year and you get 7,300 minutes, 122 hours, or 5 days of driving to the dojo! Learning online allows you to learn whenever you would like and save time to do other things you enjoy. Ever dreaded driving to the dojo? Maybe you had the motivation at the beginning of the day but got de-motivated because the weather or traffic was terrible. What happens to your training when you are traveling? In this day an age you can access the internet from computers, tablets, and phones. Don’t limit yourself to a specific location to train. Instead, leverage the power of the internet to learn from anywhere.If you have children that are learning, their learning experience depends on how often you can take them to and from the dojo. Why not make time to bond with your kiddo by doing martial arts with them online? Learning in a group setting can be challenging with many individuals with different skill sets. It can feel intimidating to ask questions in a group, yet hose that excel have to wait for each question to be answered and compromise their learning experience. It can also be challenging to get personalized support with so many students and only one Sensei. Learning online allows you to playback what you’re learning repeatedly until you have it down 100%. Additionally, you control your learning experience with the ability to stop and start at anytime. Come join us at www.InternetMartialArts.com for an online martial arts program that offers structured content with endless videos of martial arts combos, forms, and exercises. Great for independent learners and homeschoolers!